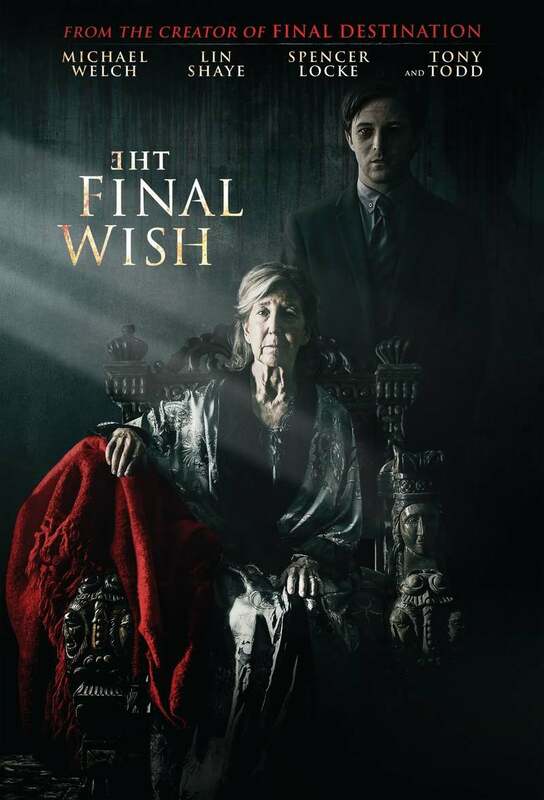 The Final Wish DVD and Blu-ray release date was set for March 19, 2019 and available on Digital HD from Amazon Video and iTunes on February 8, 2019. Hapless Aaron Hammond is the epitome of the prodigal son returning home in The Final Wish. Upon his father's death, and his bereaved mother requesting he come home, Aaron is forced to confront his past while escaping his unfortunate presence. When the struggling lawyer discovers a cursed urn that is capable of granting its owner's wishes, he is taught that not everything is as simple as it seems. Once truths rise to the surface, Aaron must face an unexpected evil to keep life from spiraling out of control. DVDs Release Dates is the best source to find out when does The Final Wish come out on DVD and Blu-ray. Dates do change so check back often as the release approaches.